As October kicks into full swing, the time for relentless bass music is arriving on a silver platter courtesy of Nitti Gritti. The Miami native is making his inaugural EP debut on Diplo’s Mad Decent imprint with ‘Drive’, a meticulously crafted collection of electro-charged trap that will leave any dance music supporter craving for more. The EP is freshly following his Halloween-induced cut ‘Run & Hyde’ and is out now on all streaming platforms via Mad Decent. Launching listeners into a roller coaster of trap-heavy sounds, the four-track discography ignites with one of Nitti Gritti’s most highly sought-after releases, ‘Money’. The production hastily builds with whining synths that fall into a knee-buckling drop, which has become a permanent fixture in his live sets. In teaming up alongside Chicago-based artist Maliboux, the second offering ‘I Got It’ provides ominous vocals blended together with a choppy yet rhythmic instrumental. ‘Tell Me’ consolidates both infectious hip-hop lyrics and electro-trap sounds into one combative creation. The final piece and title track, ‘Drive’, sees Nitti Gritti pair up with fellow bass-music connoisseur Eliminate to deliver a production that pushes the boundaries of what bass-heads have come to know and love. 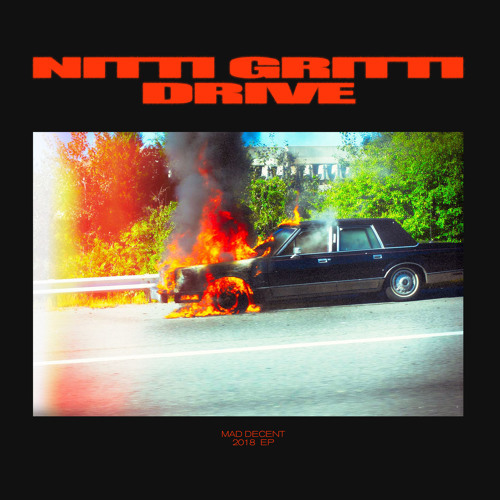 The delivery of ‘Drive’ serves as Nitti Gritti’s second official release in the month of October as he continues to set the stage for a colossal takeover during the final months of 2018. To keep the momentum in full swing, Nitti Gritti is unveiling his first-ever Diplo & Friends mix tomorrow, October 13th, which ties perfectly together with the arrival of the EP. The mix will undoubtedly feature the entirety of ‘Drive’ in addition to Nitti Gritti’s favorite tracks of the moment and a handful of exclusive edits and mashups. Nitti Gritti’s rise to the top of the dance music peak is well on its way as he has captivated millions of listeners with chart-topping originals and remixes for artists such as Cardi B, Bazzi, NGHTMRE & Slander, Krewella and more. To pile onto his polished discography, Nitti Gritti co-produced Enrique Iglesias and Pitbull’s chart topping hit ‘Move To Miami’ and has defied his genre constraints in the studio with the release of a rock-infused EP, ‘Judge Me’. Fans will have the opportunity to witness the emerging superstar in action as he has plenty of tour dates slated for the upcoming weeks including an appearance in New York City for Halloween as well as EDC Orlando in November.